The Ink Trap: A New Challenge at Kraftin' Kimmie Stamps: Unconventional Valentines! A New Challenge at Kraftin' Kimmie Stamps: Unconventional Valentines! Welcome back! Today I'm sharing the new challenge happening now at Kraftin' Kimmie Stamps! This week our hostess is KAREN!! And her challenge is UNCONVENTIONAL VALENTINES!! 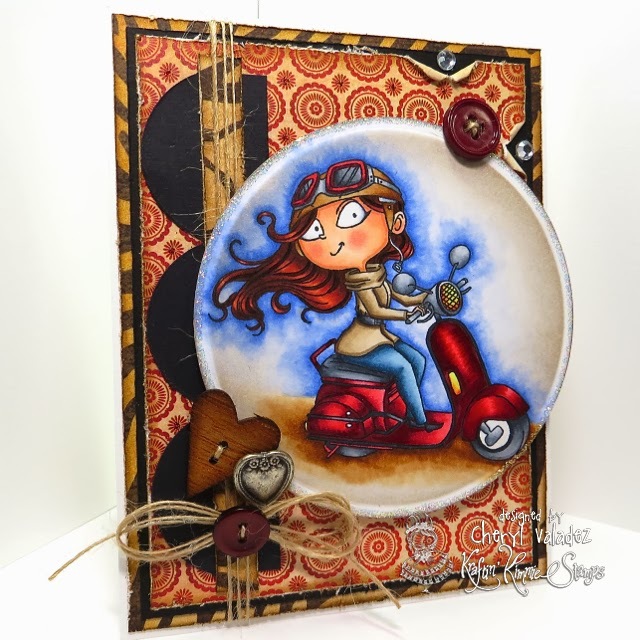 So create a card, scrapbook page or altered item with a Kraftin' Kimmie stamp featuring a stamp or style that you wouldn't necessarily think of for the LOVE theme!!! Sounds FUN! Be creative!! Join us this week because we'd LOVE to see your KKS designs. We hope you can play along for your chance to WIN some Kraftin' Kimmie rubbah!!! Today I'm using a recently released image by Annie Rodrigue from the Let the Good Times Roll set. I love this image so much! VROOM VROOM! Find this image and LOTS of others in the Kraftin' Kimmie shop. We've also got our FRUGAL FRIDAY SPECIALS up right NOW!! Several of our fave stamp sets are on 25-50% OFF for this weekend only!! Go check 'em out! 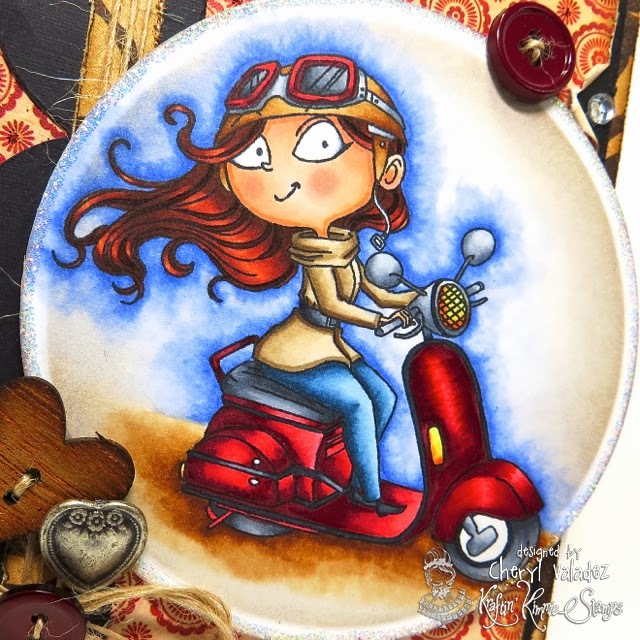 Also have you heard about our KRAFTY KOVER GIRL feature?? Check out all the details on the blog!! It could be YOU!! Check out the wonderful creations by the Krafty Girls featuring this week's challenge!! If you join us and play along, you could WIN a Kraftin' Kimmie Stamp! This is beautifully designed, Cheryl! Love everything about this cutie!! wow, love this card, the coloring is awesome. How do you get the cool watercolor effect around the image? Thanks for sharing! Hot Java Mamas by Art Impressions! Love and Chocolate by Art Impressions!